Clearance. Limited quantities. 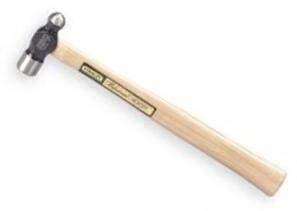 Hickory handled hammer has a polished face, poll and pein. The RimTempered(TM) face minimizes chipping assuring greater safety. High carboon stell forged heads are hardened and tempered for durability. Discontinued.